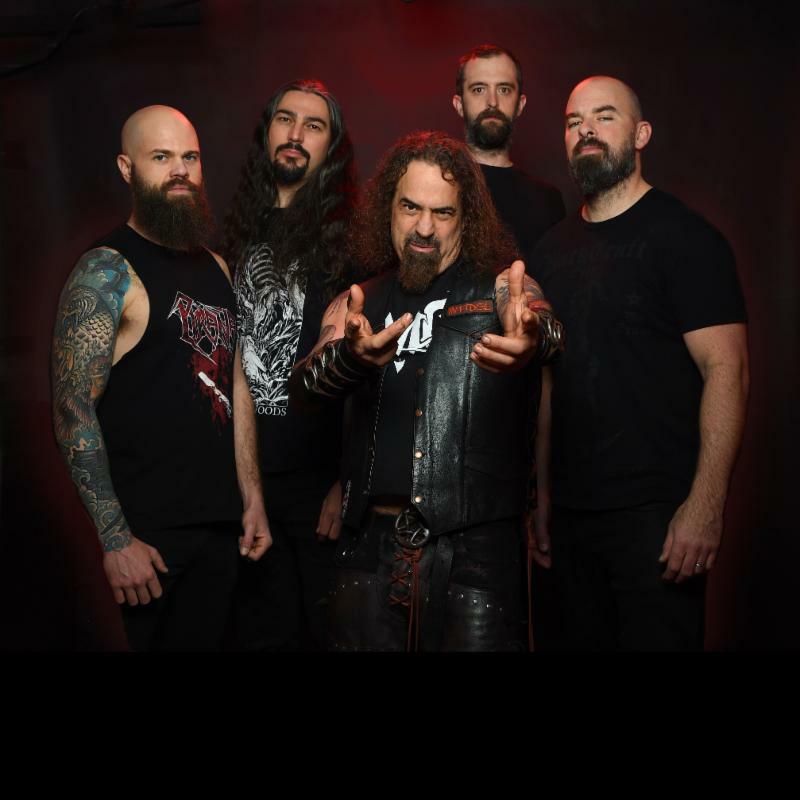 Vancouver (BC) – Progressive power thrashers WEST OF HELL have released the official video for “Chrome Eternal,” a track from forthcoming album Blood of the Infidel. 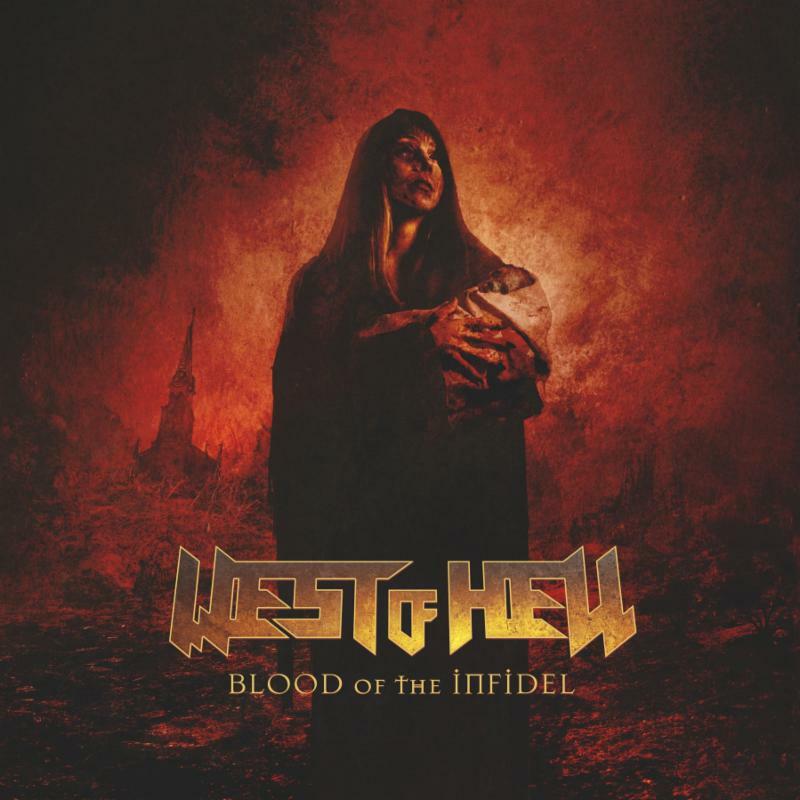 WEST OF HELL will release sophomore album Blood of the Infidel on April 1, coinciding with the launch of “The Infidels Tour” of Canada with compatriots EXPAIN. Dates and venues are now final (see below). In case you missed it, check out the official video for “Infidels” at this location. Rife with old-school influences, yet evolved with a modern sound, Blood of the Infidel blends with deftness traditional metal, thrash, and death metal, built on a foundation of penetrating melodies and progressive song structures. Vocalist Chris Valagao (ZIMMERS HOLE) has reached new heights here, ranging from thick death metal growls to the soaring notes of epic power metal, even adding the occasional harmony! Buttressed with shredding guitar solos, the album benefits as well from focused studio time that resulted in a crushing riff tone, sharp, sinewy bass lines, and a drum performance (studio only) by Vancouver brother Ash Pearson (REVOCATION, 3 INCHES OF BLOOD) that is as taut as it is tough. Blood of the Infidel was produced, mixed and engineered by Rob Shallcross, and mastered by Greg Reely. Vocals, guitars, and bass were recorded at Infinity Studios in Victoria, BC, while drums were recorded at the legendary Armoury Studios in Vancouver. 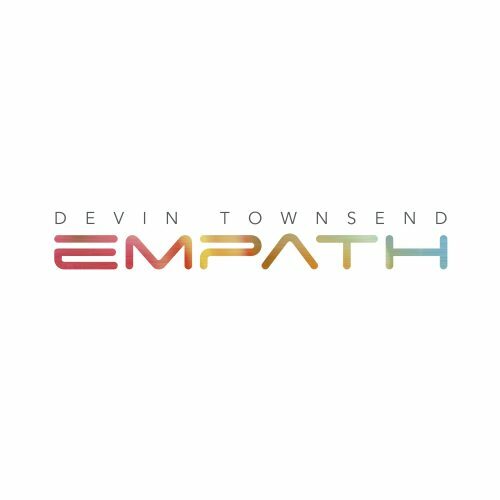 The glorious album cover was crafted by band favorite Travis Smith, with album liner design/layout by Kevin Moore at Soft Surrogate. 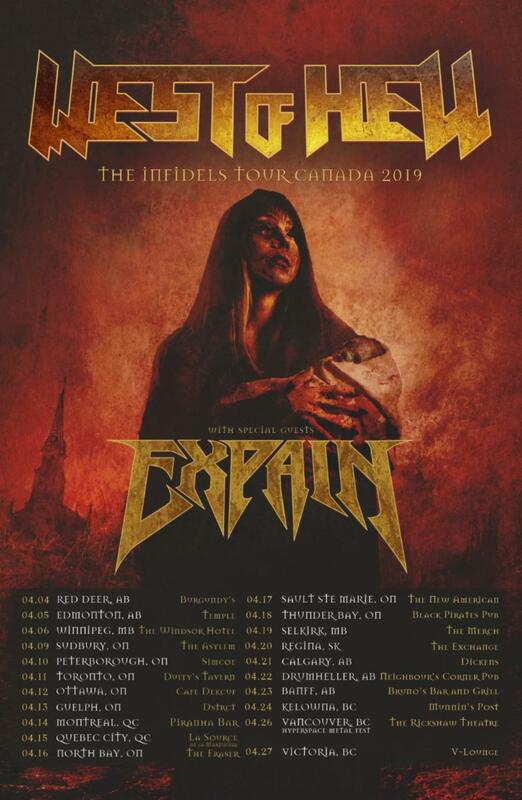 Dates for “The Infidels Tour” of Canada in April with EXPAIN are below. West of Hell is a band that delivers a unique form of heavy metal with a wide range of influences from power, death and prog metal to thrash, groove and classic metal. Band members first connected in the mid-2000s in West Auckland, New Zealand. Andrew Hulme (drums), Ivan Vrdoljak (guitars), and Sean Parkinson (guitars) started practicing together and soon found a bassist in Jordan Kemp. As they honed their skills, they worked tirelessly on the sound they were striving for, and played several shows without a vocalist in their early days. After a number of years developing their songs and searching for the right vocalist, the decision was made to relocate as a group to a larger market. Although the members had hoped to progress as a band and remain based in Canada, unfortunately, it wasn’t viable for some. Ivan left the band in early 2011 and Andrew left in 2014, both returning to NZ. The band continued on through the next few years with various guitarists and drummers occupying the vacancies left by Vrdoljak and Hulme. Kris Schulz, a key figure in introducing the band to Valagao, was approached to join the band in 2014. His guitar playing and personality brought an exciting new twist to the band’s sound. With drummer Paul Drummond stepping in as a committed member, West of Hell has its strongest line-up to date. In conjunction with touring in support of sophomore album Blood of the Infidel, writing fresh new music for the band’s third album is well under way. The evolution of West of Hell’s sound continues!